Posted July 18th, 2016 by Andrea Hanak & filed under Market update. As a real estate agent in Toronto, this is a question I have been getting a LOT lately. Is this bubble going to burst? How much higher will prices go before the market crashes? Will there be a crash? No one can afford these prices. What if I buy now but then the market crashes?….this has been the top concern on everyone’s mind. The Vancouver real estate bubble may be at its breaking point already. While price continued to soar in June, a key indicator of health of the market showed a drastic decrease: the sales to listing ratio or supply and demand of properties. Statistics show that last month there were a total of 2,618 listings for detached homes on MLS and only 1,555 sales; sales to listing ratio of 59%; the lowest percentage of homes sold during the month of June since June 2013. This year’s highest sales to listing ratio was in March; 73% of the month’s inventory sold, but the number has been dropping each month since. Although, home prices rose faster than ever moving up 16% between March and June. 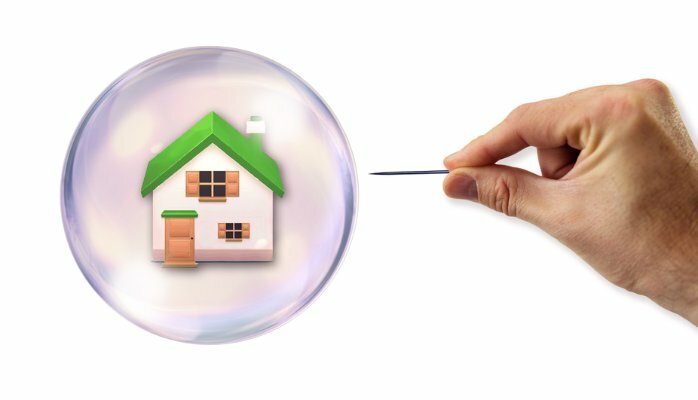 UBC’s Tom Davidoff, an associate professor at the Saunder School of Business and real estate analyst, says the first signs of a bubble bursting might be sales volume slowing down and inventory rising, basically a pile up of inventory is a huge concern. An increase in rental vacancy rates could also be a sign of the market slowing down as lenders are becoming more cautious and have been easing off their mortgage lending business because of too much risk. However, Cameron Muir; the chief economist for the B.C Real Estate Association (BCREA), the professional association for B.C realtors doesn’t think Vancouver has a housing bubble. In fact he says that just because you see the sales to active listings ratio edging lower, that’s no indication of any kind of bubble bursting. 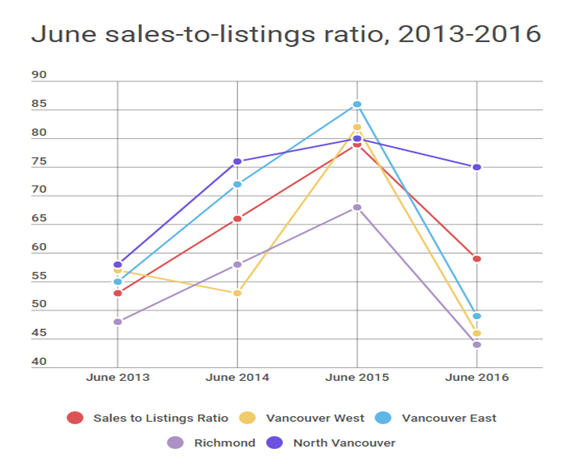 According to Muir, a balanced market typically has a sales to active listings ration between 15-20% which means that Vancouver still has to drop before reaching that threshold. What do I think? I don’t think the market will crash and I don’t think there is a bubble. Vancouver has limited land. Real estate will have its ups and down of course as it’s a cycle but for most part the prices will increase overtime. 59% ratio is still a sellers market and summer months are usually the slower months of the year for real estate purchases. I see prices being stable now and increasing modestly. The reason with all attention brought to this issue and talk about government intervening in the market has scared a lot of people away. People who are looking to buy are now standing on the sidelines waiting for sales to drop..but I don’t think that is going to happen.